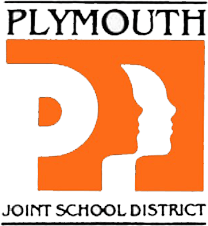 Congratulations to these Plymouth High School student groups on their recent awards! The PHS Future Business Leaders of America chapter took second at the Region VI Leadership Conference at Waupun High School on Feb. 2 and qualified 38 students for state competition in 19 different events. More than 700 students from 24 schools competed in a variety of business events. Students placing in the top three of each event qualify to compete at the State Leadership Conference to be held April 7-8 in Green Bay. FBLA advisers are Todd Williams and June Winkel. The Plymouth High School varsity boys bowling team took fourth at sectionals Feb. 2, advancing to the Wisconsin High School Bowling Club State Championship set for March 1-3 in Green Bay. Varsity team members are Logan Beck, Dylonn Fox, Chase Heling, Jeremiah Krahn, Jordan Lensmire, Matt Pohl and Nicholas Schwartz. The team is coached by Erick Hefling and Phyllis Brunner. Plymouth High School sent nine students to participate in the East Central Conference Honors Choir concert on Jan. 26. Representing PHS were Jordyn Anderson, Ana Hyer, Rosalia Johnson, Ethan Joseph, Bennett Josephs, Ethan Lilyquist, Emily Portschy, Anne Sedlacek, and Andrew Van Norwick. At the Marquette University High School Tournament on Jan. 26, Michellelena Kraemer took second in Demonstration Speaking, Kieran Kraemer fifth in Storytelling, Caitlin McEvoy fifth in Special Occasion, and Grace & Emma Wynveen sixth in Play Acting. The team, coached by Megan Hummitzsch, Mari Falk and Thomas Gerleman, won its first two tournaments. Click for results from earlier tournaments. The Plymouth High School Varsity Dance Team took first in Division 2 Hip Hop at the Eastern Division Regionals held Jan. 26 in Kimberly. The team then took fifth at the State Dance Championships, sponsored by the Wisconsin Association of Cheer/Pom Coaches, on Feb. 2 in La Crosse. This is the fourth year in a row PHS has placed at state! Momentum was named Grand Champion in the Prep division at the Parkview High School competition. Momentum was named Grand Champion in the Prep division and fifth runner-up at the Parkview High School competition held Jan. 5, after making it to finals for the first time ever. The choir then went to the Burlington Chocolate Showcase on Jan. 12 and took first runner-up in the Prep division and an Outstanding Choreography award. Sophomore Davis Suckow was named Best Male Soloist in Prep. • Explore the Extracurriculars section of our District Report Card to learn more about our history of success in academic and athletic extracurriculars.